EIE Group is the Partner of Choice (employer, supplier, investor) in distribution, rental & value-added services in the Industrial Equipment market; offering a total solution, providing best-in-class brands and delivering optimal life-time value for our customers. 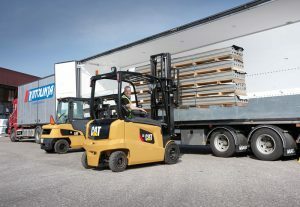 Toyota Industrial Equipment: Toyota Forklift is the Global Market Leader in Materials Handling Equipment with a reputation for safety & efficiency, innovative research & development and quality products. We are the sole distributors of Toyota Forklift, BT Equipment, Raymond Equipment and Flexi in Southern Africa. The company offers rental and used equipment, aftermarket service, operator training a host of other value added services. Materials Handling: The distributor of world-renowned brands such as Konecranes Ports and Container Handling Equipment, Terberg Terminal tractors and Link-Belt construction equipment. Additionally, we offer extensive after sales support with advanced workshop facilities to OEM standards using genuine parts. 600SA has been a household name in the Lifting & Loading, Cleansing & Waste as well as Work at Height sectors since 1967. This includes the importation and distribution of truck mounted cranes, aerial platforms, waste equipment as well as workshops, Parts and a fully equipped service department. Industrial Cleaning: Hako Cleaning Equipment offers a wide range of products for use in a host of applications such as warehousing, municipalities and manufacturing. The Hako brand has been synonymous with quality products for floor cleaning and grounds maintenance for almost 60 years. Our dedicated team is committed to value driven solutions, offering a range of accessories as well as technical support, parts, maintenance plans and more. Industrial Power: EnerSys is the global leader in stored energy solutions for industrial applications. We manufacture and distribute reserve power and motive power batteries, battery chargers, power equipment, battery accessories and outdoor equipment enclosure solutions to customers worldwide. 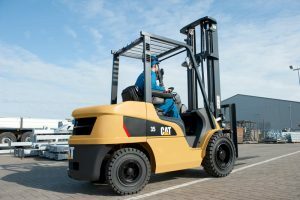 Impact Handling: We are the official UK distributor for Cat Lift Trucks, Konecranes Lift Trucks, Carer Heavy Duty Electric Forklift Trucks and Spijkstaal Electric Tow Tractors along with being an approved UK dealer for the leading complementary specialist equipment brands.